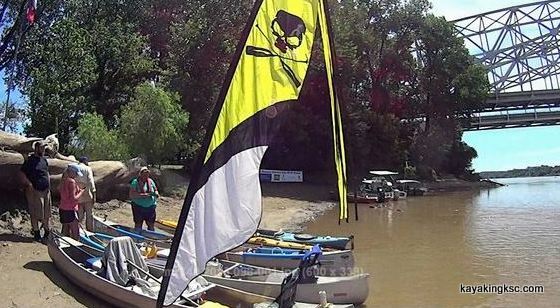 Which paddle for the worlds longest "Non-Stop" river race? "Had I chosen the correct gear?" The jittery exciting pre-start of the MR340 and around all around you see the widest selection of paddles and boats than one could imagine: of the paddles-creatively carved angled wooden paddles, feather light carbon fiber paddles and study but heavy aluminum & plastic paddles from the big box stores. Even a few venturous souls with narrow Greenland style paddles. 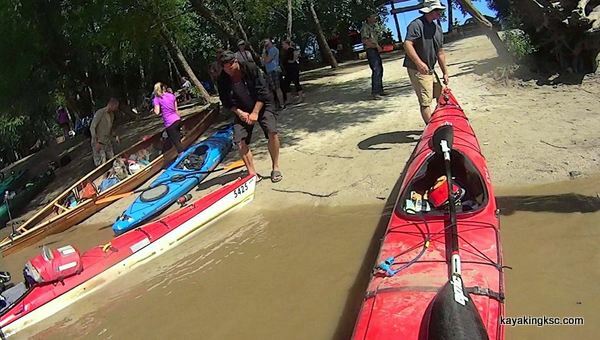 Everyone looked so confident, and so the nagging question: "Had I chosen the correct gear?" 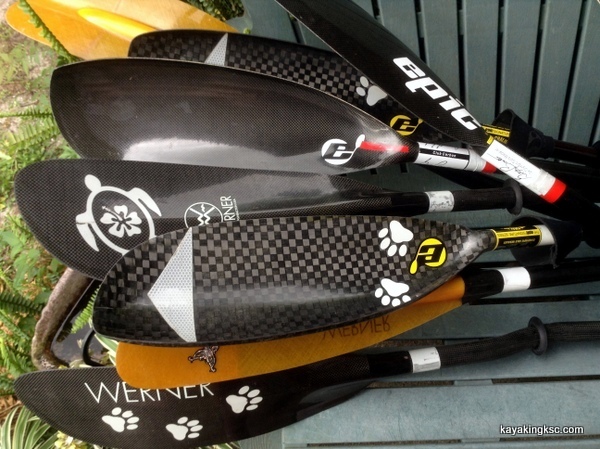 So what type of paddle to torture body for 340 miles? Or as I prefer to think of it: 18-20 hours of strokes day and night for four four days? Well of course the bottom line of what's in your wallet may determine the type of paddle-your better half may balk at the expense of a high tech blade however in my opinion it would be foolish not in invest in an expensive carbon fiber blade. I have completed three MR340 races coming in to the finish line at around 78 hours (near last place) but feeling fairly refreshed because I had slept and I had a light blade. Muddy River and an Carbon blade! Being at the back of the pack each time I was able to watch those who were struggling to the finish line. 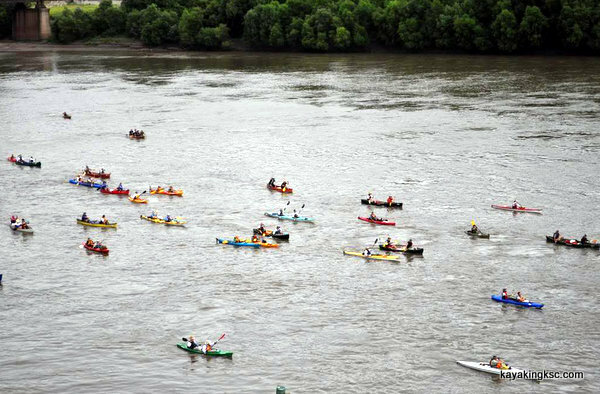 It may sound like common sense to obtain a light blade however many paddlers on the muddy Missouri fail to do so. My shoulders get tired swinging my ultra light Werner or my Epic wing blade but the folks swinging heavy blades from Walmart or Dicks? Blisters and pain. --Of course if your are trained to use those beasts...... Go for it. And the price? The outrageous ridiculous tear-driving, hair pulling price? The cost of the carbon fiber blades are divorce fighting words, in another time you could have sold your soul cheaper. Story from our last race: A Midwest tornado?